Clarksville, TN – What makes a man a king? And, by the same token, what makes a king a man? 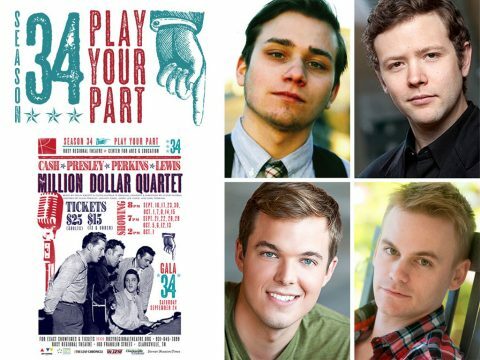 This fall, the Roxy Regional Theatre delves into these questions with the company’s 32nd annual foray into the works attributed to William Shakespeare. An exploration into the nature of leadership and its relationship to morality, “Henry V” opens Friday, November 4th, at 8:00pm, for a limited run. One of Shakespeare’s most famous history plays and the final in a tetralogy preceded by Richard II, Henry IV, Part 1, and Henry IV, Part 2, the play is based on the life of King Henry V of England and centers around events occurring before and after the battle of Agincourt in 1415, during the Hundred Years War. 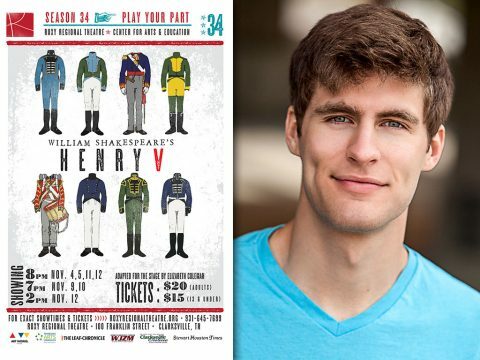 Jonathan C. Whitney stars as King Henry in “Henry V” at the Roxy Regional Theatre. 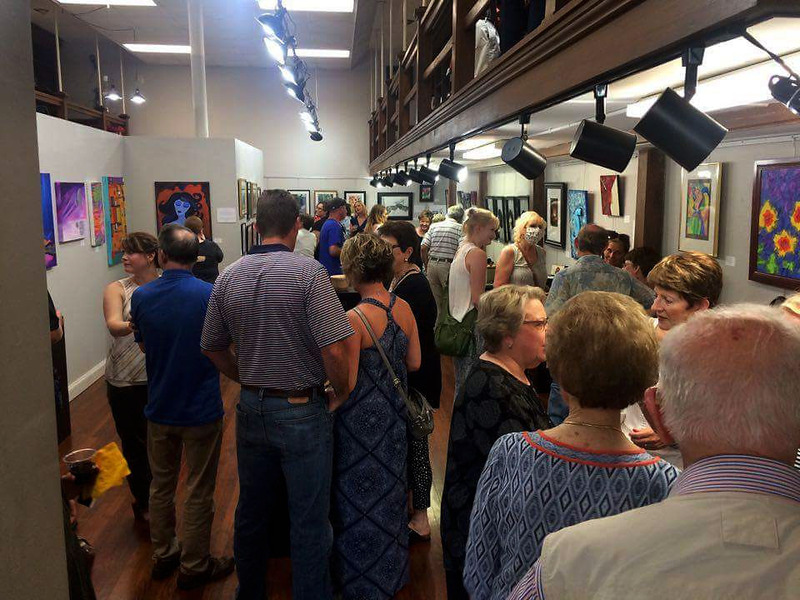 Clarksville, TN – The Roxy Regional Theatre is gearing up to celebrate 34 years of presenting live theatre in the heart of Historic Downtown Clarksville on the corner of Franklin and First. The Roxy has long been regarded as “the cornerstone of downtown re-development,” and SEASON 34 will see new productions and exciting changes to the programming and structure of the theatre. Ryan Bowie, longtime company member and former Director of Fundraising and Development, will take the reins as the organization’s new Executive Director. 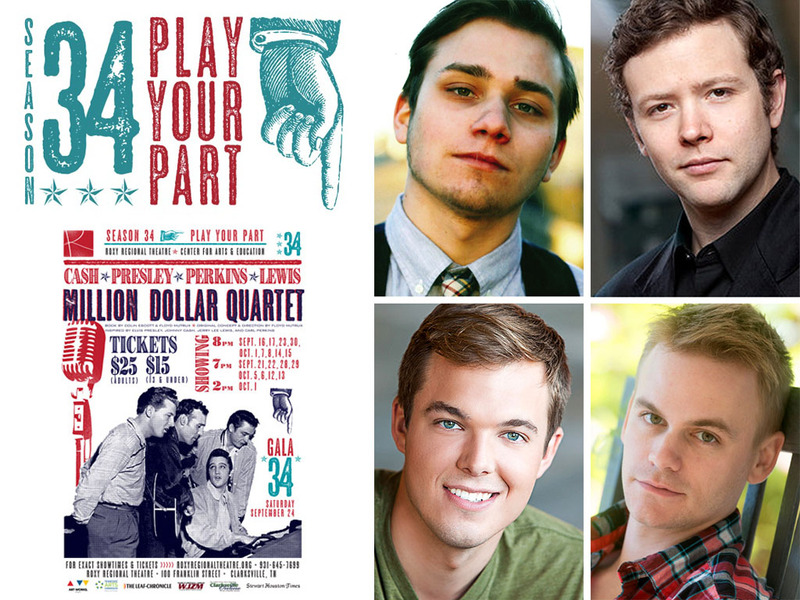 (L to R) Oliver Pierce, Marek Sapieyevski, Stephen Shore and Nick Abbott star as Elvis Presley, Jerry Lee Lewis, Johnny Cash and Carl Perkins in the Roxy Regional Theatre’s 34th season opener, “Million Dollar Quartet”, September 16th – October 15th.